Fight spring showers with chic raincoats, shoes, and accessories. The gear might not make the Н₂O more enjoyable, but you'll look good going from point A to B. 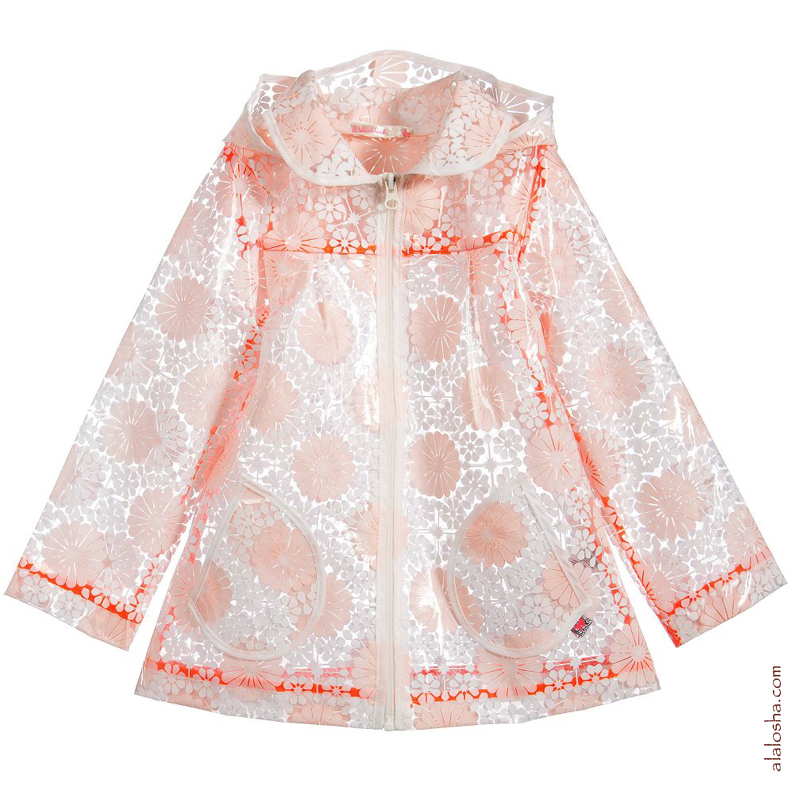 Girls pretty raincoat by Billieblush. Made from lightweight, shiny polyurethane with a pretty pink and white floral pattern and neon trims. 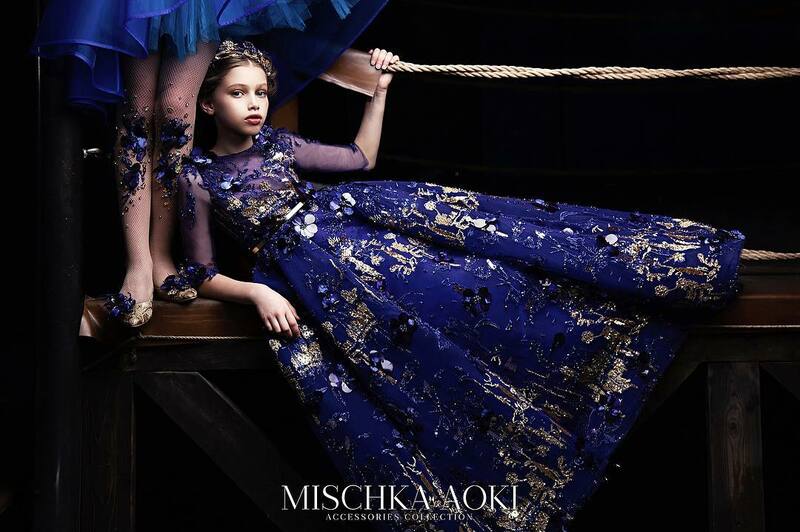 The coat is transparent allowing clothes to be seen through it. It has a collar with a hood, pockets and fastens with a zip. A cute coat for rainy puddle days. 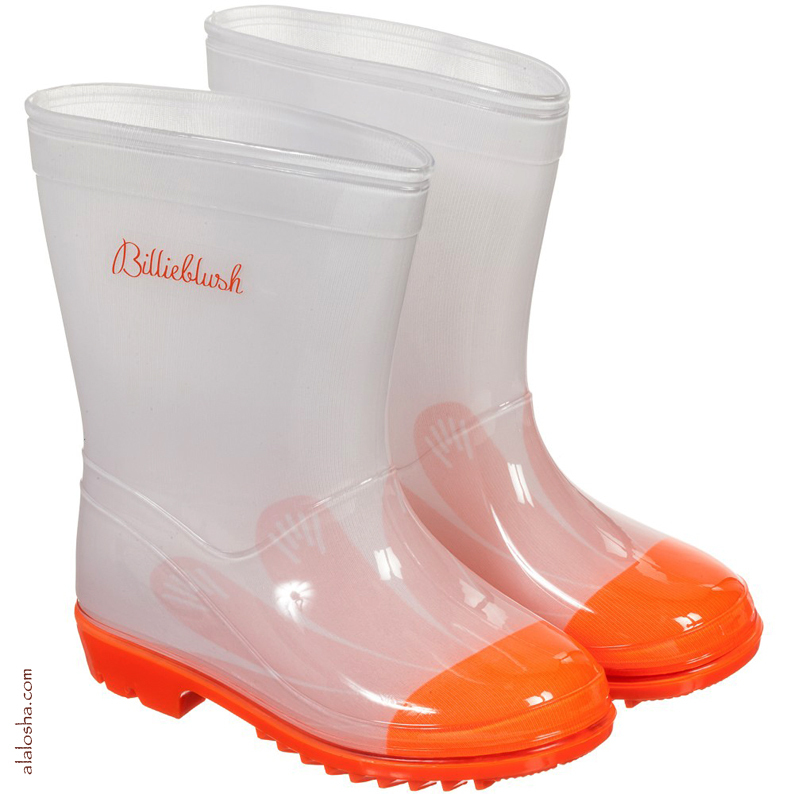 Girls ivory and orange welly boots by Billieblush, with a faint orange petal design across the front. 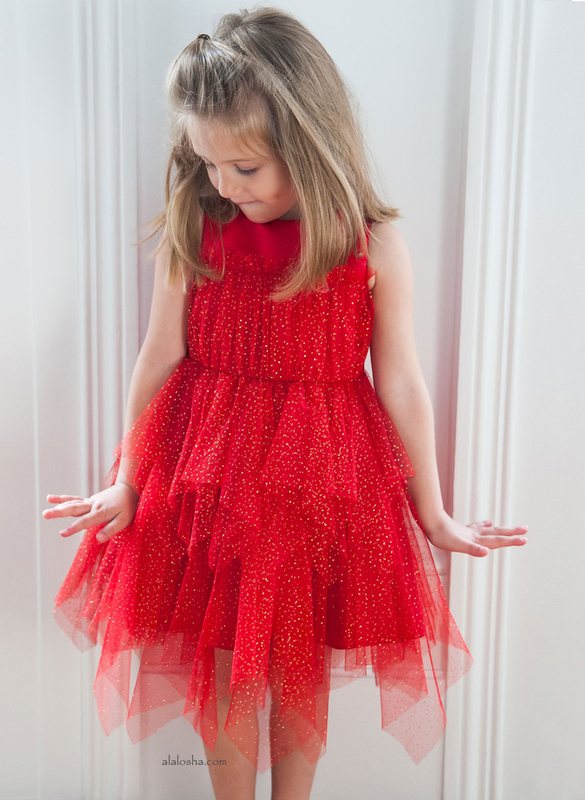 They have bright orange, non-slip soles and fabric lining. 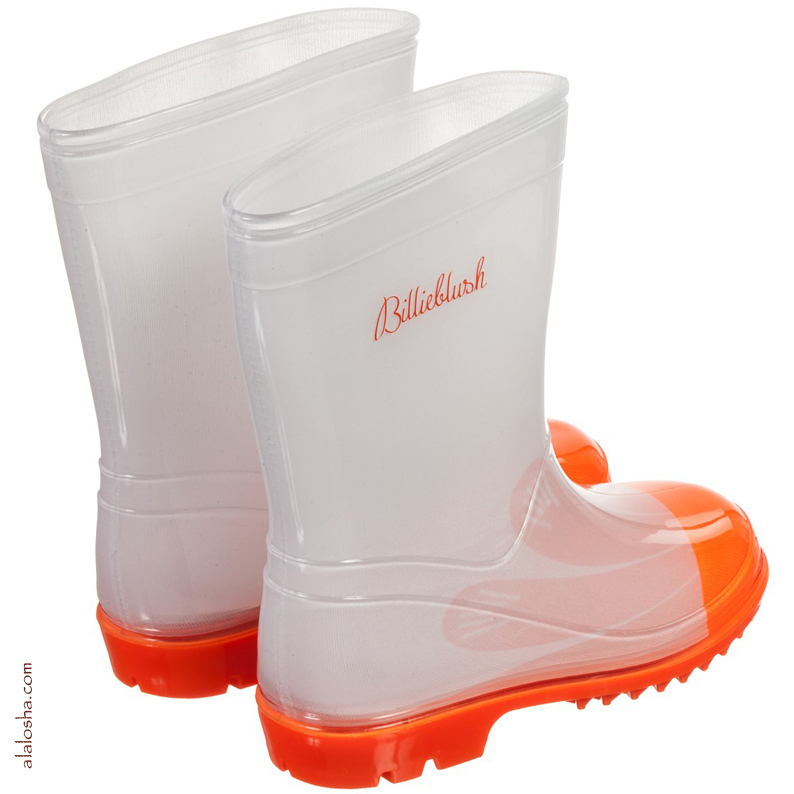 They come with a neon pink, practical fabric bag that can be used to carry muddy wellies after a day of fun in the rain.